For many Americans, it is far too easy to fall into credit card debt — and incredibly hard to work their way out of it. With high interest rates and fees, it is no wonder that many people find it challenging to get out of credit card debt. But eliminating credit card bills is far from impossible — it just takes time, patience and a smart strategy. Paying off your credit card debt requires an individualized approach that is based on your own financial situation. Here are some tips that you can use to get out of debt and be well on your way to a healthy financial future. Credit cards are convenient, especially in the era of online shopping, where everything is available with just a few clicks of a button or taps on a screen. But the only way that you will ever conquer your credit card debt is to stop using it. The larger your credit card balance is, the more you will be paying in interest each month. And the more interest you are paying, the less able you are to pay off the principal. If you continue to use your credit card, you will only add to the principal debt — and increase the interest amount that is due each month. It may be painful to stop using a credit card and to rely solely on cash or a debit card. But it is absolutely necessary if you want to pay off your cards. 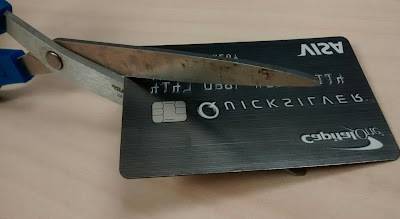 Cut up your cards, lock them away, and delete them from your various online accounts. Then you can start focusing on really paying down your debt, instead of continuing to add to the balance. To effectively conquer your credit card debt, you will need to make more than the minimum payment each month. That may be tough if you feel that you are already stretched to the limit financially. But if you take a close look at your spending, you may find ways to slash expenses so that you can devote more money to paying off your cards. Start by tracking your daily spending, and then look for ways to eliminate unnecessary purchases. Are you spending $15 - $20 every day buying lunch at work or picking up coffee on your commute? That is an easy expense to cut; you can simply pack a lunch and coffee instead. If you were spending $15 dollars every day on these items, that adds up to $300 in a month — or $3,600 in a year. That money can go a long way towards paying down a credit card balance. Some daily and monthly expenses are harder to cut, but may be necessary if you are serious about getting out of debt. Consider getting rid of cable, biking to work instead of driving, or revamping your grocery list. 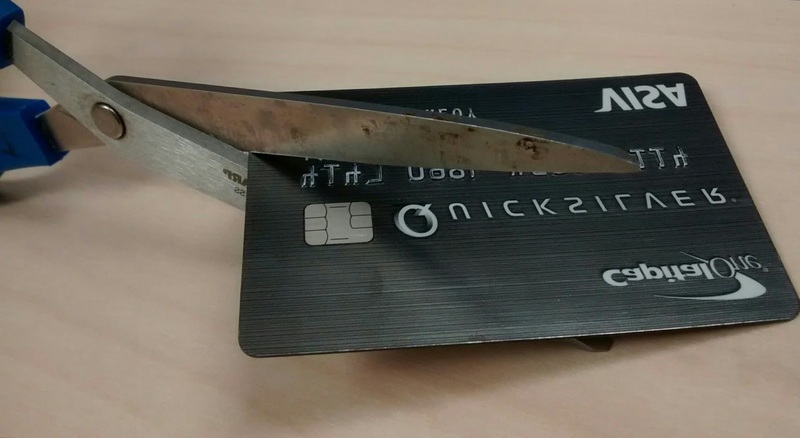 The money from each bill that you slash can be put directly towards your credit card debt. Finally, give up little luxuries until your credit card balances are gone. For example, getting your hair professionally colored can be very pricey and requires regular upkeep. Instead of going to a salon, color your hair at home for a fraction of the price. Going out with friends is a lot of fun, but you can have a great time hosting people at your own home for far less money. Remember that these sacrifices are ones that you are making for the short-term so that you can have more flexibility and stability in your budget in the long-term. For anyone with multiple credit card balances with high interest rates, a debt consolidation loan may be the way to go. Consolidation will allow you to pay just one monthly bill and focus all of your efforts on paying it off, ideally with a much lower interest rate than what is currently offered by your credit card. The key to effectively consolidating your debt is to do your research and choose wisely. While the interest rate on a debt consolidation loan may be lower than your credit cards’ interest rates, fees could actually make it more expensive. Look at the loan’s annual percentage rate, or APR, to determine what the true cost of the loan is. Then compare it to your credit cards’ APRs, and make a decision based on these numbers. Paying off your credit card debt is not an easy task, but it is a rewarding one. Getting your balances to zero can help you achieve your financial goals, and make for a much more secure financial future. Thanks William. That means a lot to me right now. You just made my week. I am so glad that you are enjoying the work I put in. Hope you keep reading and commenting. For sure. The worse your relationship with credit the riskier you are. So in order for people to allow you to borrow from them yet will charge you a premium in the form of higher loan rates. This is added motivation to keep on good terms with you debts and a high credit score, or not to use credit at all.